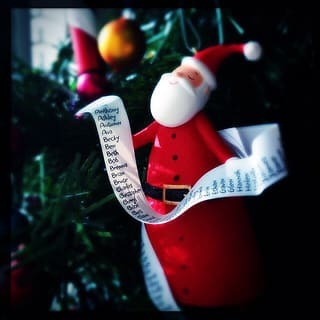 Do you plan to use a phone or tablet to shop for gifts this holiday season? According to comScore, the number of e-tail dollars spent on smartphones and tablets is growing fast – an estimated 33 percent this November and December. Yet, while mobile shopping offers convenience (and, often, free shipping), mobile-device shoppers aren’t immune to online threats. What are our main concerns about making purchases from a smartphone or tablet? We at Abine ran an analysis of tracker behavior at the 100 most-trafficked retail websites. A tiny minority of sites had no trackers at all. Yet some had as many as 19. And because these trackers paint a picture of your browsing history – or what you place in your shopping cart – shopping across a number of websites can reveal lots more information about you than you may expect. Trackers aren’t malicious, but the companies that place them are in the business of selling your personal information so you’re targeted more effectively with ads. Is that really something you benefit from? Plus, if you’re like many internet users, you reuse passwords across different sites. If one of your accounts gets hacked, any other site where you’d used those credentials could also be a target for the hackers. Some e-tailers let you check out as a “Guest” – this is the best way to shop, as it ensures your payment and shipping information will only be recorded on a per-transaction basis. If you do need to create a profile to shop at a certain site, Blur can help you mask your real identity. You can use Blur’s Masked Emails feature to sign up for websites with a “disposable” email address. Blur can also create and save complicated passwords for all of your online accounts. You have the power to block trackers when you’re browsing the web on your phone or tablet. The browser in Blur’s mobile app blocks tracking out of the box – no setup needed! Secure shopping options like PayPal and Apple Pay keep your real payment info hidden from merchants – and Blur’s Masked Cards can do exactly the same thing when you shop on the web. 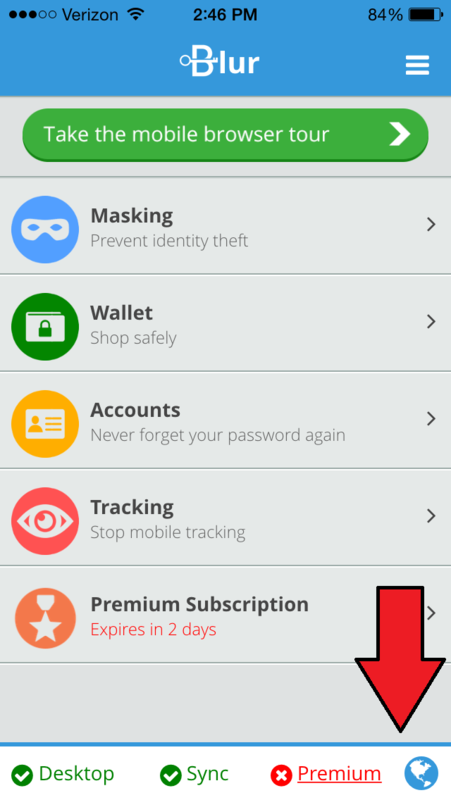 And creating a new Masked Card from a mobile device takes just a few taps. 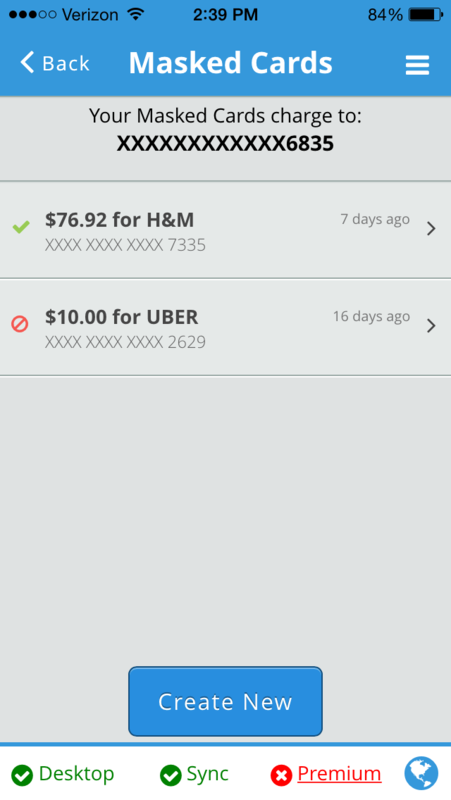 In the Blur app’s Dashboard (shown above in bullet 2), just tap Wallet > Mask My Card > Create New. Download the Blur app for iPhones, iPads or Android devices today! Photo courtesy of kevin dooley via photopin cc. Also I tried this form using Firefox and I kept getting a captcha error where there is no captcha anywhere on the page. I tried it in that horrible browser Internet Explorer and it worked. I would have thought your web site was compatible with Firefox. Hi Cecil – what model of phone do you have? And can you find the app version #? If you tap the “hamburger” icon in the top right to get to Settings, the version # will be in the bottom right corner.